This shop has been compensated by #CollectiveBias Inc. and its advertiser. All opinions are mine alone. 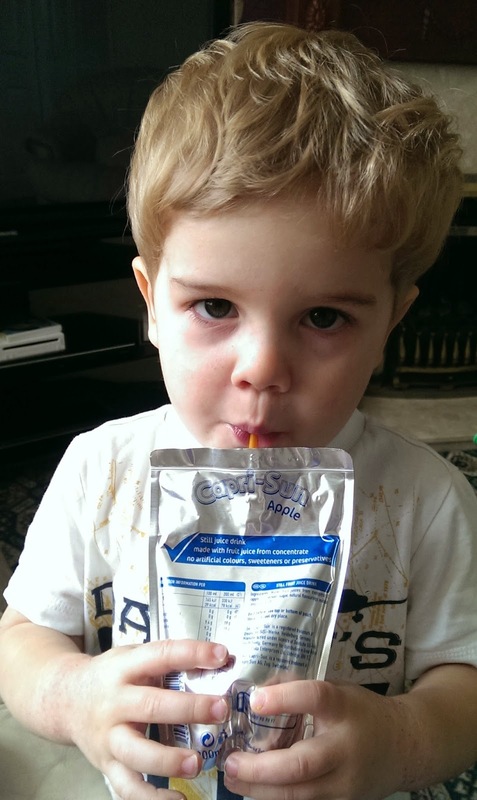 This week we have been shopping in Sainsburys for some Capri-Sun. 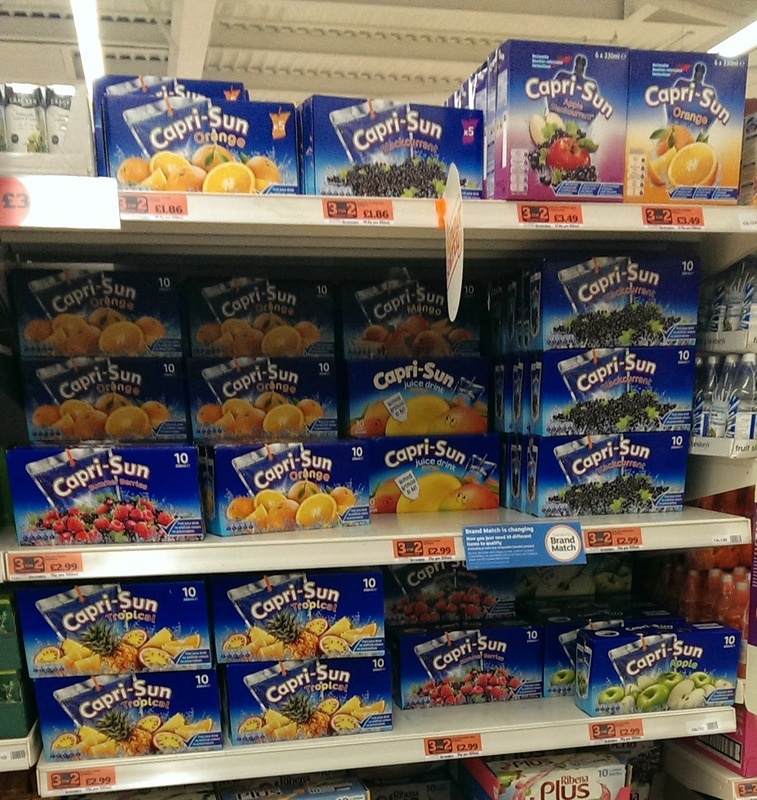 When I saw that CBias were looking for people to go shopping for Capri-Sun, I was instantly transported to my childhood. When we were shopping for Capri-Sun I noticed many flavour varieties I somehow only remember there ever being orange when I was a child - but maybe this was all my parents brought. 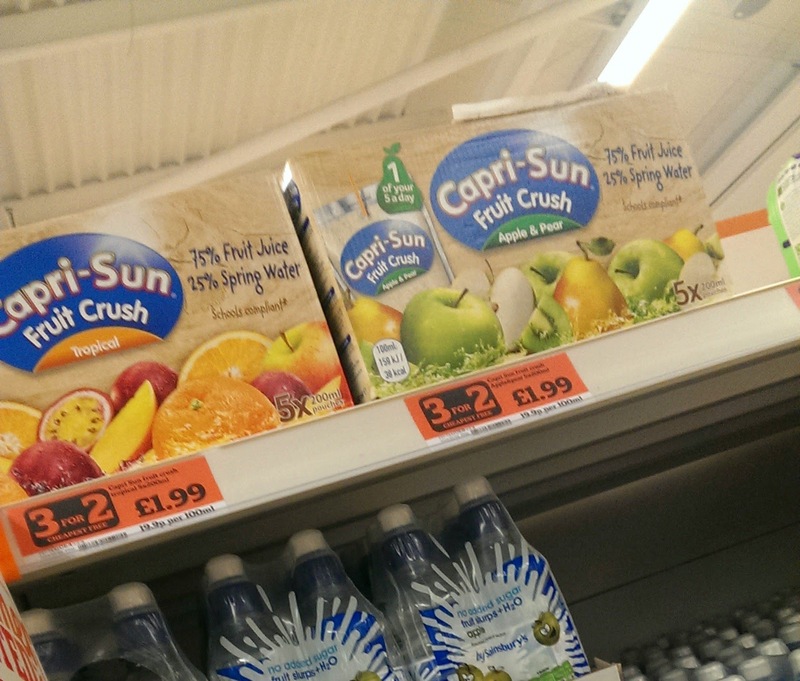 I also noticed the fruit crush varities, these contain 75% juice and 25% water. I let Jack choose which flavour he would like to try and he opted for Apple. 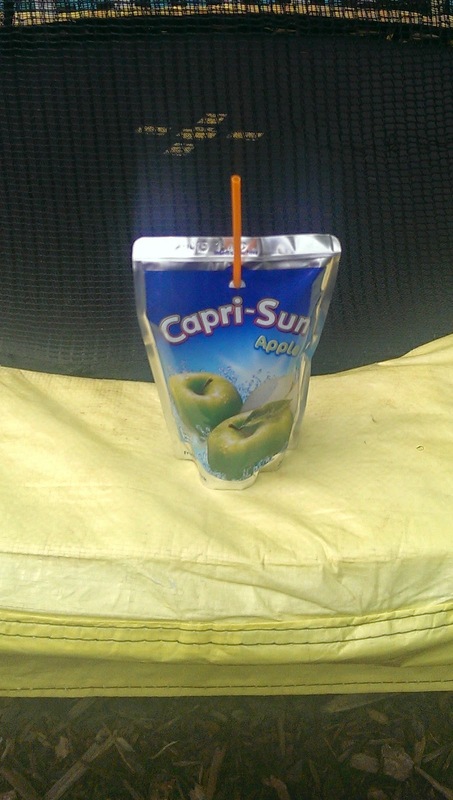 Capri-Sun was something that I would get within my lunchbox occasionally yet we often had Capri-Sun when we went out on a picnic. So I instantly thought I would recreate my childhood picnics with Jack. However, the weather has been very unpredictable for us this week and has rained almost everyday around lunchtime or the morning so we've been unable to have our picnic. 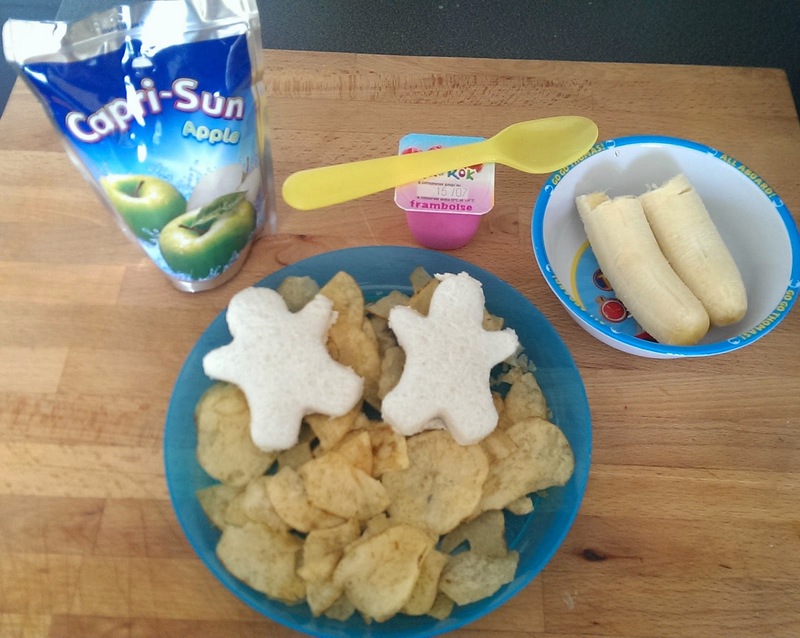 So we just had Capri-Sun with our lunches instead - Thank You British weather. So although we didn't get to have lots of lovely inspired childhood picnics due to the weather, we did have a little snack time out in the garden, and also Jack had an occasional Capri-Sun in the afternoon instead of water for a bit of a different taste. I'm hoping within the next couple of weeks the weather will improve so I can try an recreate some of my childhood. What a great idea, shame about the weather! Looks like Jack has enjoyed it anyway! 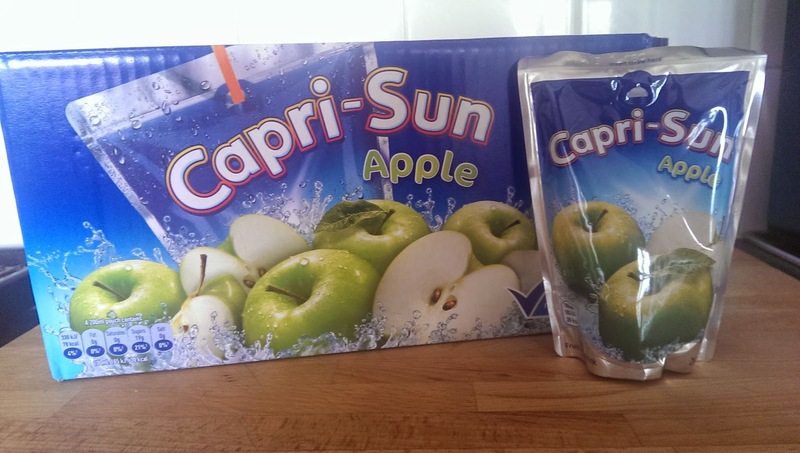 I always buy Capri sun for my kids cos they are so easy to bring it out and put it in their lunch box.